We were far from full strength with injuries, absence and international clearance issues depriving us of 8 apprentices and 3 of the schoolboys who have been confirmed as scholars for next season. In addition to this the coach of Bury is now Vince Overson, after he took up a position there following Eddie Howe’s decision to dispense with his services, and he would have been keen to get one over his former employers. We took to the field with a number of schoolboys in the side and a slightly makeshift line up. 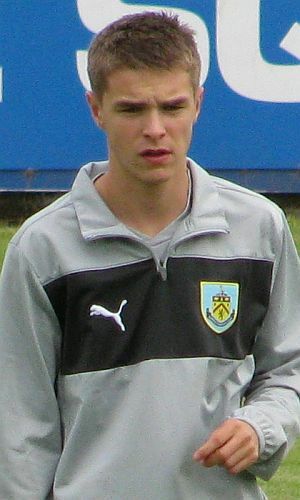 Midfielder Luke Gallagher had the captain’s armband and took up a position in the centre of defence. Schoolboy Christian Hill is typically an attacking player but he slotted in at left back. Another schoolboy in Jamie Frost, who is usually more at home on the wing or up front, partnered Luke Daly in the middle of the park. Also making their first appearances for the youth team were Brad Walsh on the right wing and Billy Hasler-Cregg in a supporting role. We started brightly and had the best of the early play. We managed a couple of attempts at goal but these were mainly long range efforts. However, on the quarter hour mark we managed to take the lead. We won a free kick inside the Bury half and Lewis Nuttall lofted the ball in towards the back post. Gallagher had peeled away from his marker and powered a header just inside the post in a manner which seemed to completely surprise the Bury defence. Less than ten minutes later we found ourselves extending the lead and it was last season's hot shot Jason Gilchrist getting off the mark again. Nuttall was menacing the defence and forced an error, leaving Gilchrist to side step the keeper and hammer home. Things were looking good for us at this point. We were playing the typical good football that we have come to expect and the youngsters were giving a decent account of themselves. However, the visitors managed to get themselves back into the game, scoring a cute chip over Callum Jakovlevs and off the bar. The remaining 15 minutes or so of the half seemed to pass without another shot on target although Hasler-Cregg curled an effort just over, Frost shot over and Bury came close with a shot just wide. The 2nd half had a disastrous start for us. It was merely a few minutes old when Bury won a corner. The ball was swung over to the back post and was headed home by a Bury defender. There was an aerial clash that left Charlie Holt down and groggy and he was forced from the field, with U-15 Callum Walsh replacing him and sitting in midfield, with Daly dropping into full back. The game then dropped into quite a scrappy period of play. No real chances were created and possession was frequently squandered. Half way through the 2nd half Bury stepped up a gear momentarily and took advantage. Jakovlevs made a good save to deny a Bury attack, but minutes later was unfortunate to see a clearance of his blocked by a forward and rebound into the net. We started to press more and look for an equaliser and the game began to stretch. As a result Jakovlevs was again called upon to make a good save as Bury were hitting us on the break. We made more changes with two more U-15 entering the fray, seeing Nuttall and Hasler-Cregg replaced by Andrew Nugent and Khius Metz. Nugent dropped to full back allowing Hill to move forward, while Metz joined Gilchrist as a traditional strike partner. The forward was unfortunate a couple of times as the ball just didn’t settle for him. Gilchrist was also unlucky with an audacious volley from a Daly ball. Time ran out on us and the season opened with defeat. Team:- Callum Jakovlevs, Charlie Holt (Callum Walsh), Christian Hill, Richard Barnes, Luke Gallagher, Luke Daly, Jamie Frost, Brad Jackson, Lewis Nuttall (Andrew Nugent), Billy Hasler-Cregg (Khius Metz), Jason Gilchrist.